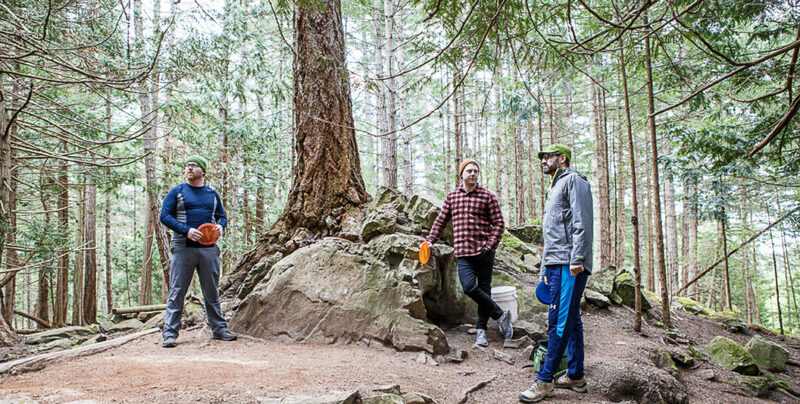 The Men’s Frisbee Golf retreat on Pender Island has been an annual event for over a decade. Nestled away on the coast of BC, the chalet rental is located right on the water with gorgeous views of the ocean. With a small group of 12 – 15 men, the retreat balances devotional times and prayer with fantastic play on a world-famous frisbee golf course that the island is known for. With good food and fellowship, rest from the every-day norm and rhythm of life, this retreat provides rejuvenation, refocusing and refreshment. Led by director Steve Klassen, this retreat sees many returning participants but also new additions every year. We invite you to consider being one of them! After the retreat I felt that my soul had been refreshed. My body was tired physically after the weekend, but an energy deep within me had been refreshed. I was impacted by the community of brothers as we shared the words we received from Jesus and was encouraged by many who shared. The many joy-filled moments were wonderful. The spiritual sessions were very profitable. There is a certain spiritual synergy that surfaces when Christian men thoughtfully and prayerfully read the scriptures and reflect on them. The times of fellowship and prayer with other men were a bonding experience. The retreat was the most helpful because of the inclusion of the prayer times for various people. But it was also the combination of scenery, fun, food and fellowship with people I know that really set up the prayer time to be successful. I call Steve Klassen my man of peace. He represents a life-style that mirrors the rhythm Jesus modelled for us. The night after the whole town was gathered at his door, Jesus climbed a mountain to be with his Father (Mark 1:35). Jesus was busy and balanced, are you? All Steve asks of you is to board a ferry. Allow it to whisk you away from your high paced life to peaceful place of rest, guided reflection and relationship with others. There are physical activities designed to get your mind off the grind and to help you unwind. As you slow down for only 2 days, it's amazing what you might hear the Father say to you! The Men’s Pender Island retreat is a 3-day, 2-night retreat at a private chalet on Pender Island, on the coast of BC. 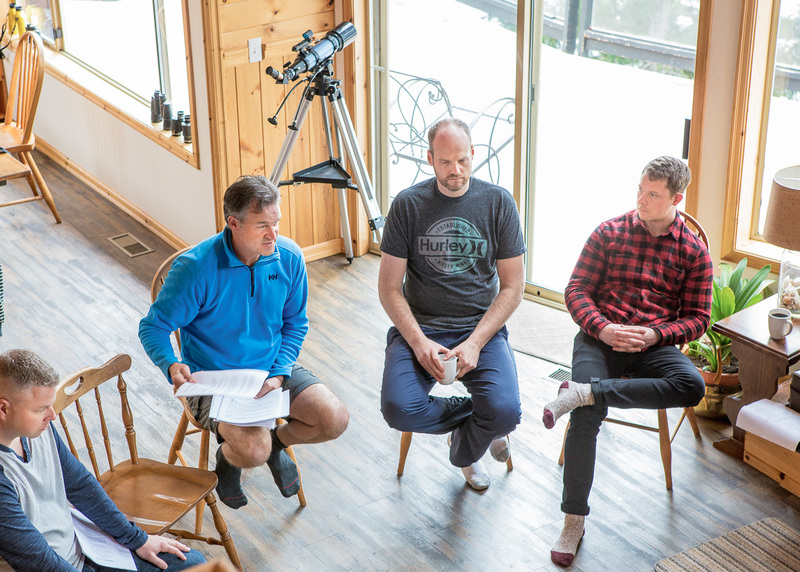 The cost of the retreat includes accommodation, meals and snacks for the full retreat, spiritual sessions led by director Steve Klassen, and several rounds of frisbee golf on a world famous forest course. Taxes are included. Each participant is responsible for arranging their own transport to and from Pender Island. Staff will pick you up at the ferry terminal on Pender Island should you choose to be a walk-on passenger. Recommended ferry times to be posted soon. Please contact our offices at 604.556.7796 to register.